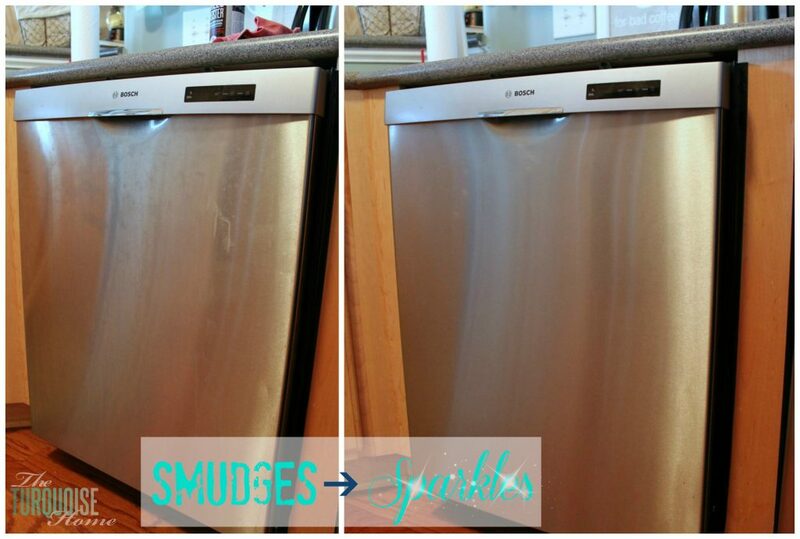 Do you want to get your stainless steel appliances to sparkle and shine without streaking or manipulating the cleaner just so? Steel Meister not only cleans your stainless steel, but also repels dirt, smudges and fingerprints leaving a long-lasting luxurious finish. Ahhh, the holidays. I love this time of year. Not particularly because of the weather, although I love me some pretty Fall leaves. But I love it because of the traditions. I love seeing family all together in one place for a few days. I absolutely LOVE the food. Anyone who has eaten my mom’s Thanksgiving dinner will tell you that it is worth the drive, the wait, whatever it takes to get there and partake. The turkey, dressing, hashbrown casserole, green beans, chocolate chip pies. All of it is scrumptious. And then for Christmas, it’s the church service on Christmas Eve with family and friends. And as long as I can remember, my mom made homemade cinnamon rolls and sausage balls for Christmas morning. Yum … can’t wait! Now, as I’ve grown up and have a family of my own, I get to host Christmas morning at my house with Coach’s family. And what goes right along with hosting? Cleaning! The most fun tradition ever. I honestly hate to clean. And I do most of my deep cleaning when people are coming over. 🙂 Sure, we do the dishes daily, pick up after ourselves and make sure we have clean clothes. 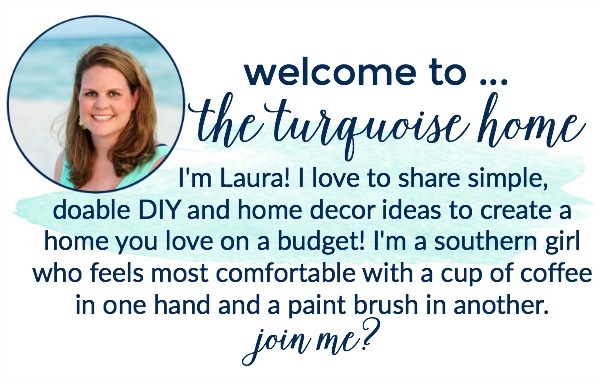 But I’m talking mopping and dusting the baseboards and other “deep” cleaning kinds of tasks. One of these “deep cleaning” tasks is wiping down the appliances in the kitchen. We have a stainless steel fridge and dishwasher. 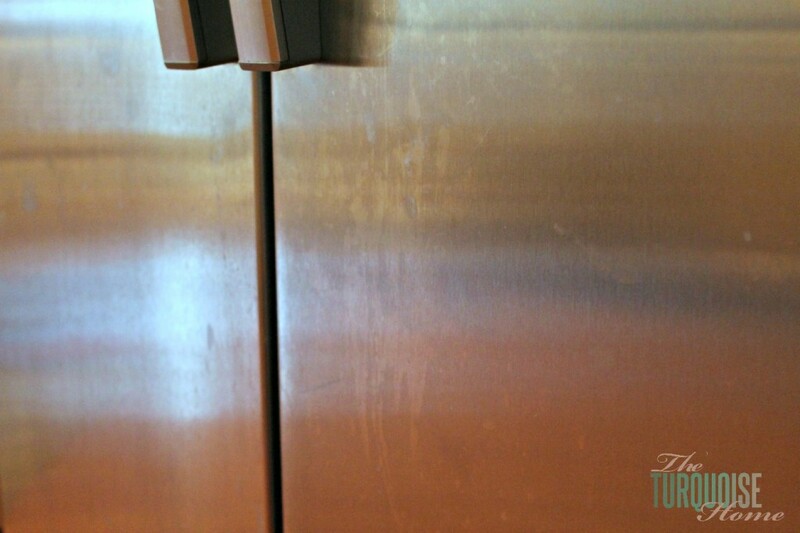 Stainless Steel + Preschooler = Fingerprints and Messes Galore! So, when I was asked to try Steel Meister, a no-fuss, super-strength stainless steel cleaner, polisher and conditioner in one, I jumped at the chance! 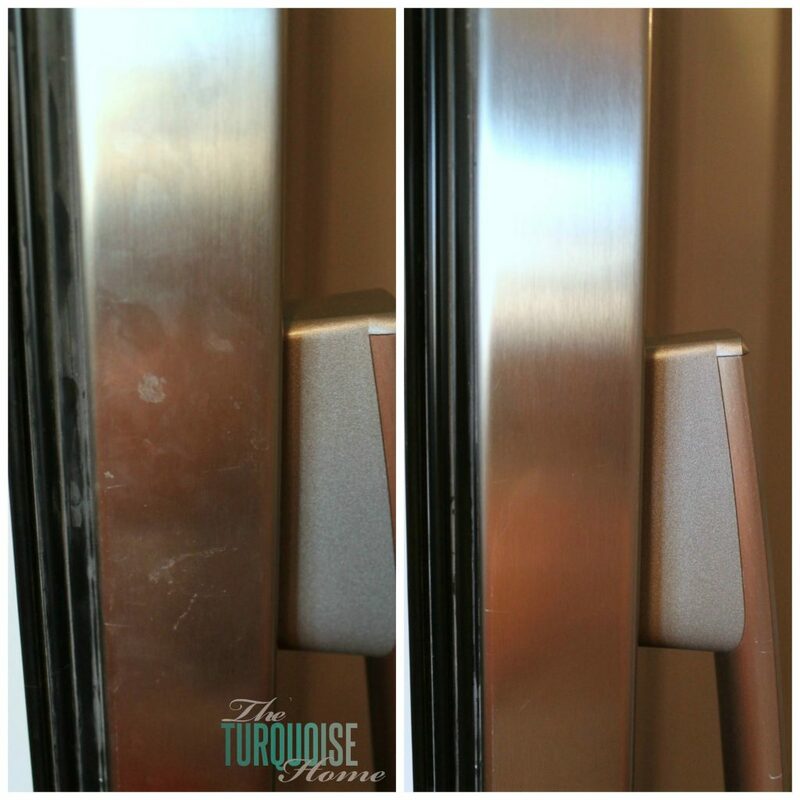 This cleaner comes in an aerosol spray can and you just spray and wipe with a lint-free cloth and all of the fingerprints, smudges and dirt are gone! 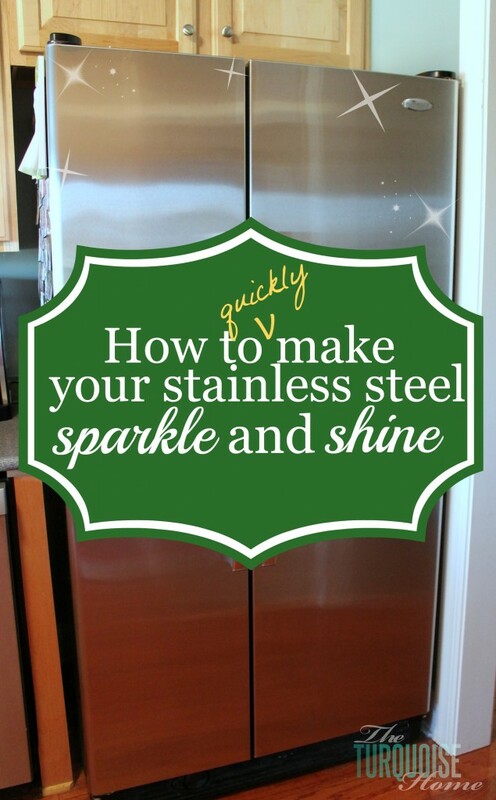 With other stainless steel cleaners I’ve tried, I had to work to get a streak free shine. I had to wipe it in a certain direction or with just enough product, but not too much. 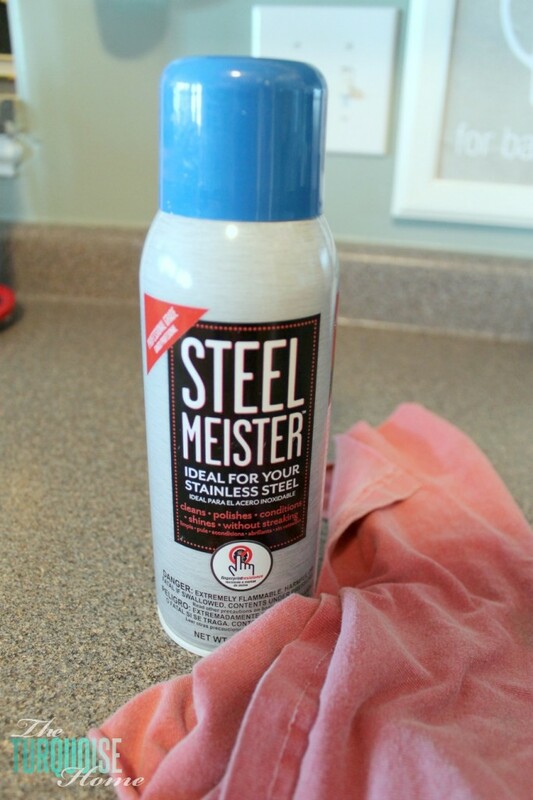 Honestly, with Steel Meister, you just spray it on, rub it in and you’re good. I didn’t have to manipulate it or maneuver it in any specific direction. Just wipe and go. And there were NO streaks. I was impressed. Another great thing about Steel Meister is that it leaves a microscopic coating behind that repels fingerprints and smudges. After a few days I can say that my fridge and dishwasher look great without a smudge or streak! Love it!! I’ll be using this quick cleaning product as my go-to for a shining and sparkling my stainless steel. Steel Meister is available exclusively at Home Depot in the appliance department. This is a Sponsored post written by me on behalf of Steel Meister for SocialSpark. All opinions are 100% mine. WOW! That is impressive. I always struggle with getting our stainless appliances clean and shiny. I will have to add this to my list of cleaning products to buy! 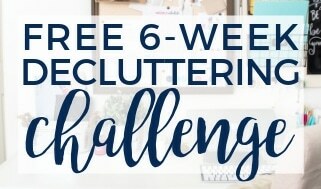 I am so not a fan of deep cleaning, I’ll do the fridge and dishwasher handles every other day if I happen to have a cloth in my hand but to do the whole thing is so overwhelming. That middle spot, about toddler high, is the worst. I could use a good easy cleaner. Thanks for sharing your thoughts on this. Yes … that toddler-height spot IS the worst! I’m sold. Where do I buy it? Home Depot in the appliance section. Love it! Wow, I gotta get myself some of this! I love my stainless steel shiny all the time! 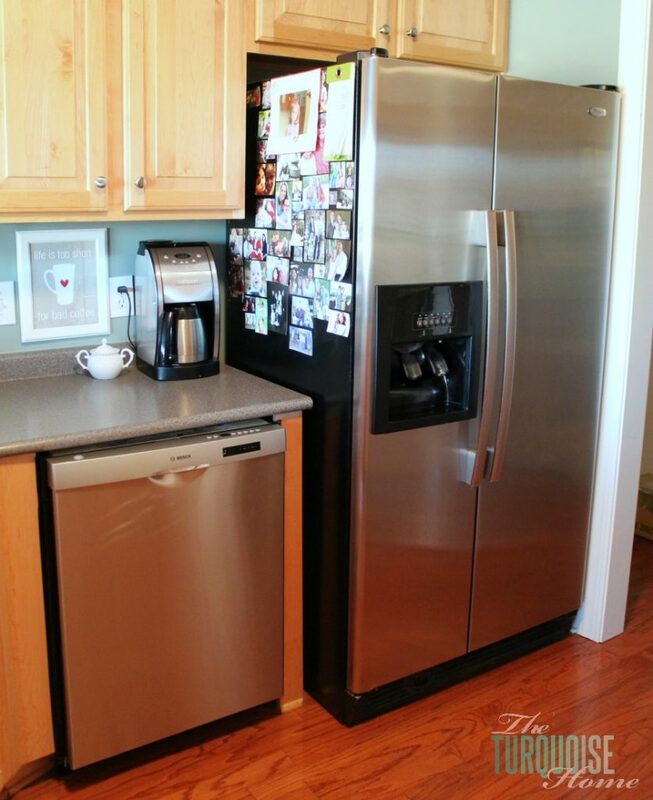 We have been working to replace all of our appliances with stainless, I would definitely start with the fridge. So many fingerprints! Excellent timing for this post. It’d be great if they would consider doing a giveaway…. Oh, I will need to go to Home Depot & get a can of this!! All of our appliances are stainless, and they are a PAIN to keep clean!! Even without kids! Big parties are our best incentive to clean and get projects done! Maybe we should have them more often, so our house would be cleaner! 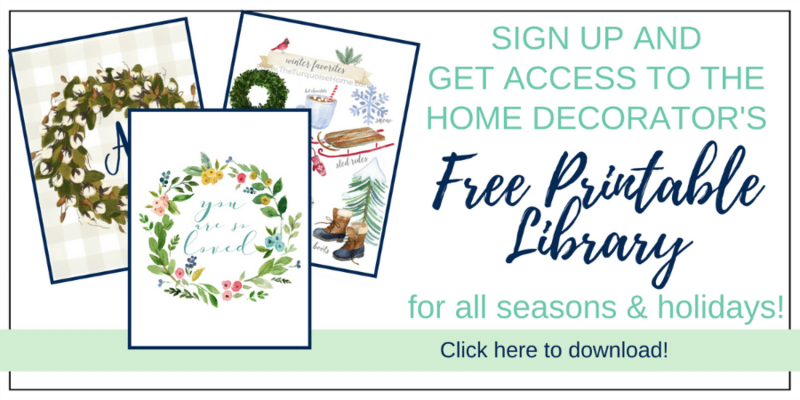 Perfect timing for this post as I just ordered all new, stainless steel appliances last week and they should be here next week!